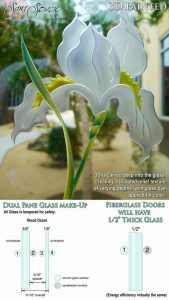 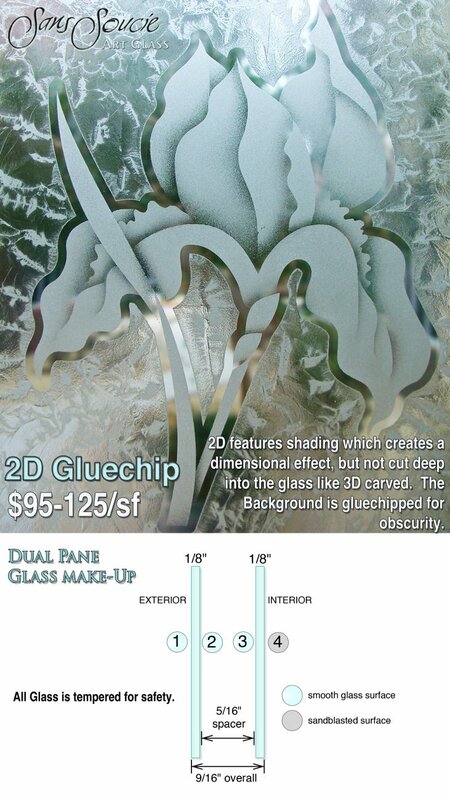 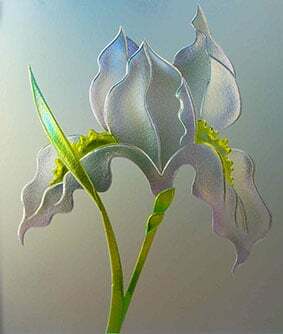 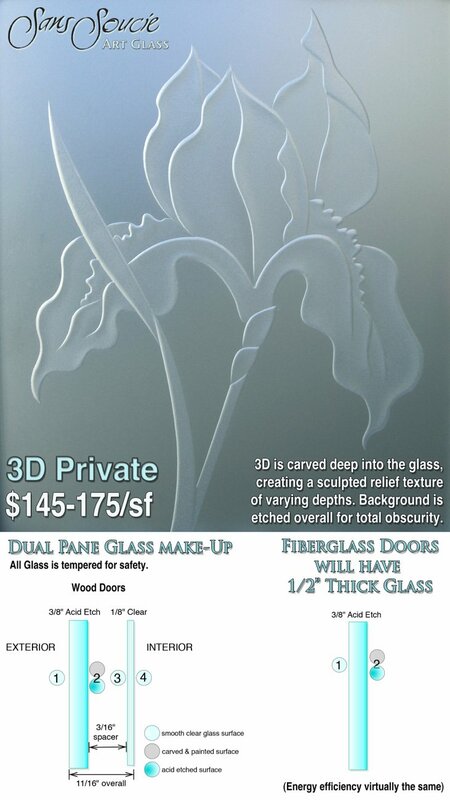 GLASS IS HAND CARVED, CUSTOM MADE-TO-ORDER! 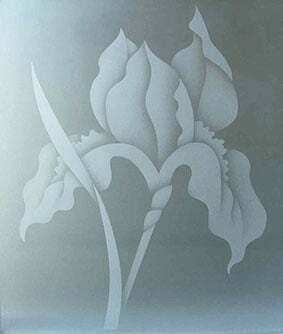 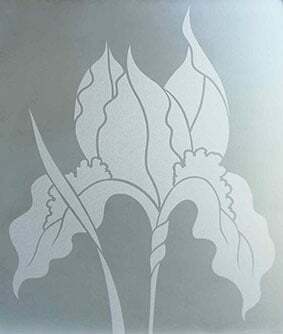 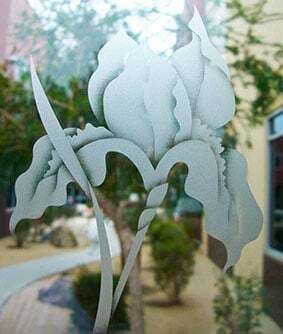 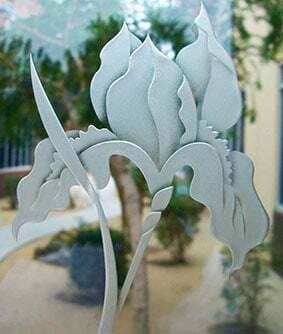 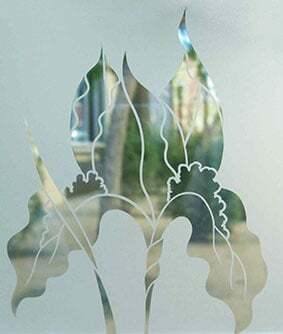 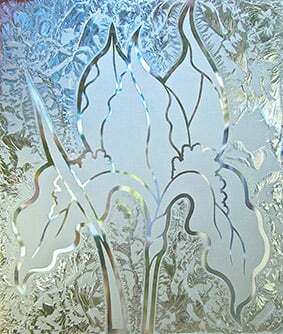 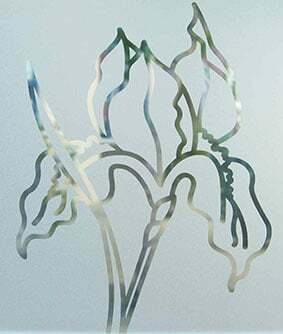 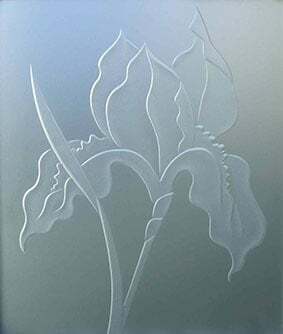 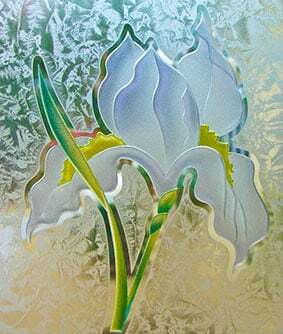 Design is sandblast carved one segment at a time, cutting deep into the glass, creating a sculpted, relief texture of varying depths. 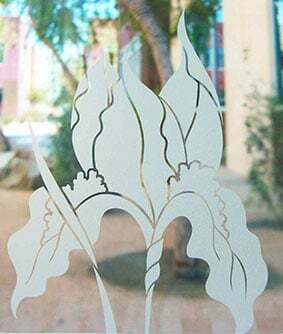 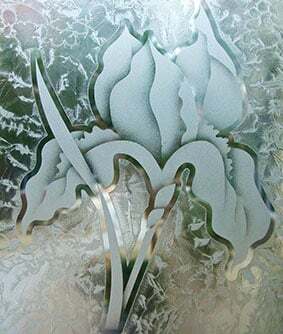 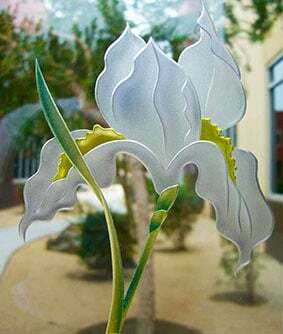 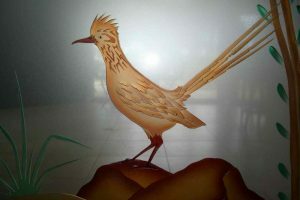 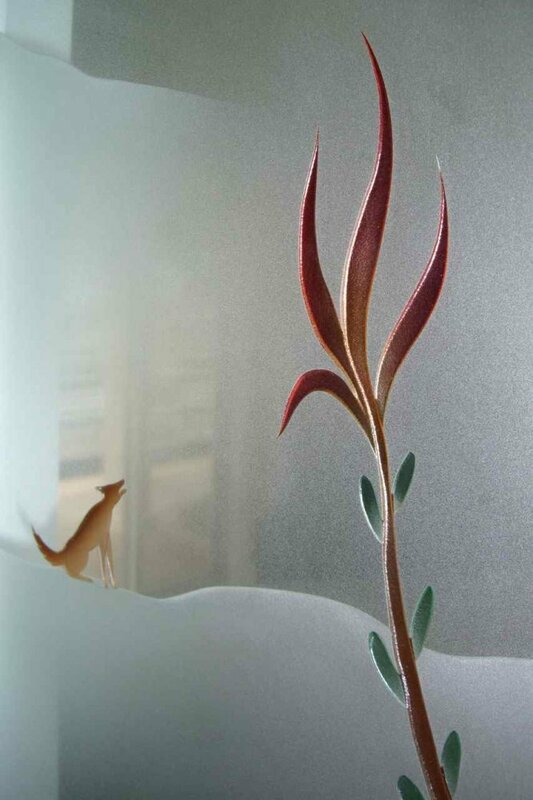 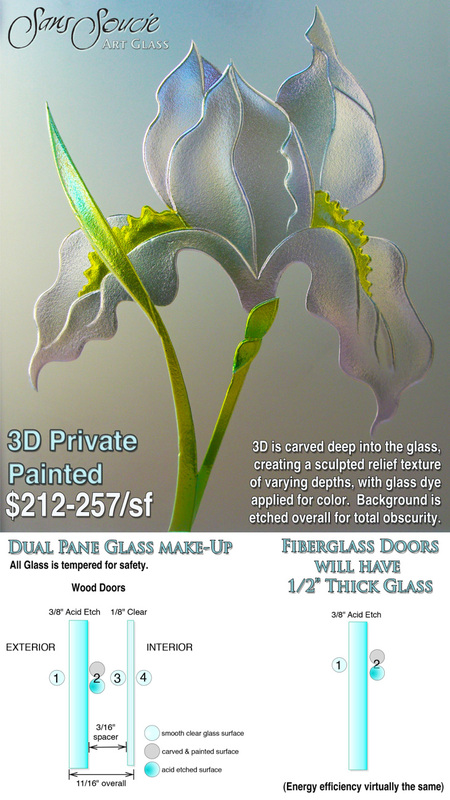 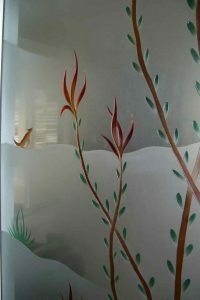 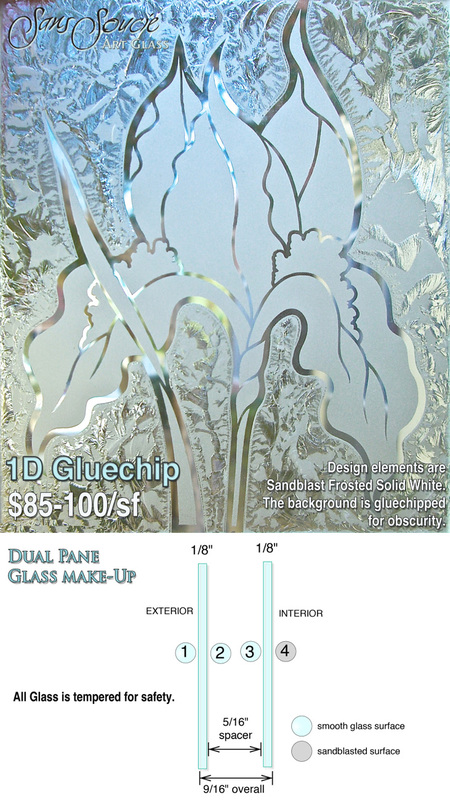 This design is 3D Carved And Painted Glass and features Sans Soucie's Ocotillo - Roadrunner Glass Entry Door. Beautiful design brings the beauty of nature to your home. 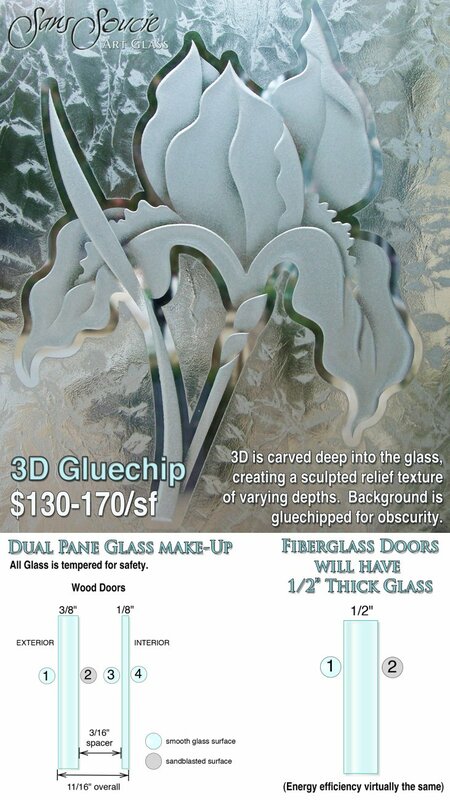 This door can be customized and purchased online! 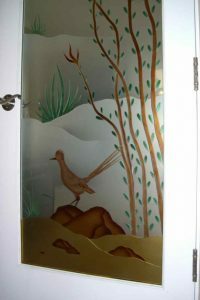 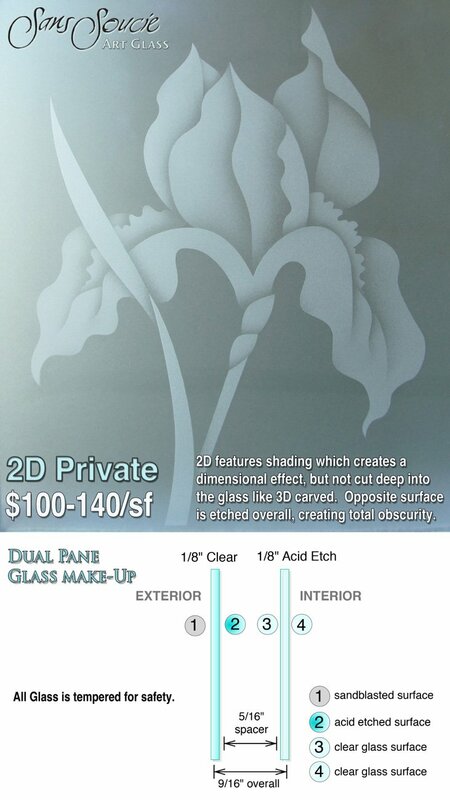 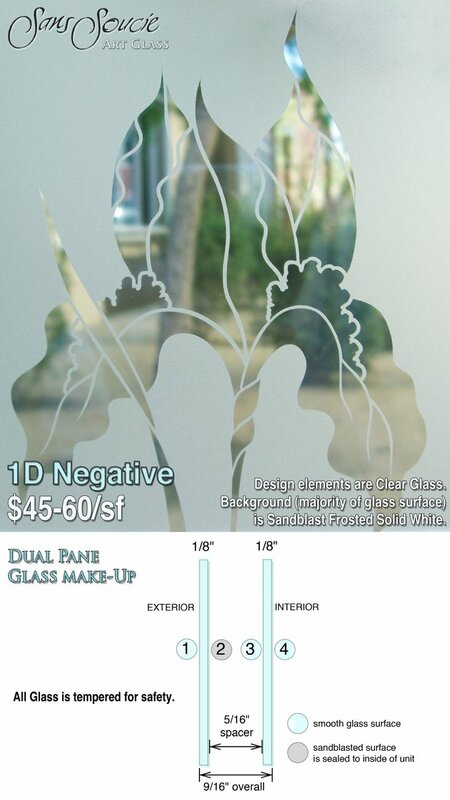 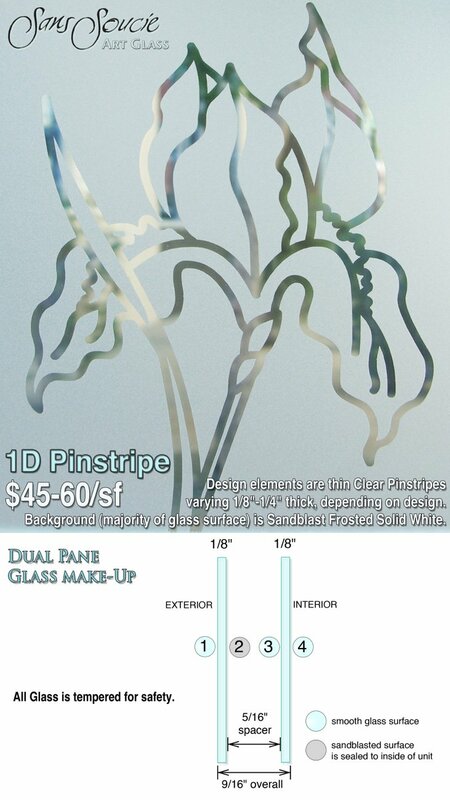 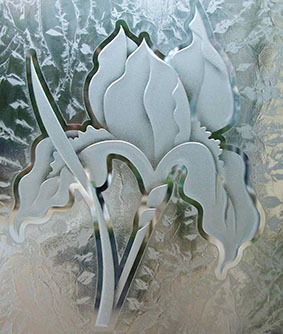 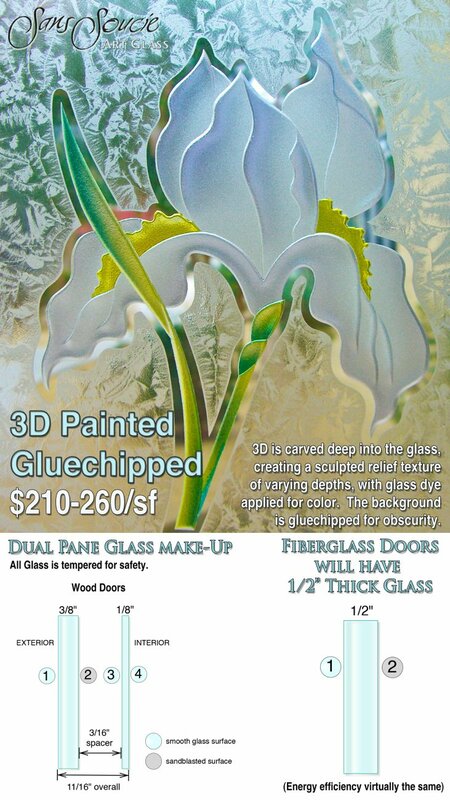 Inside our Glass & Door designer you customize everything about your Glass and Door! 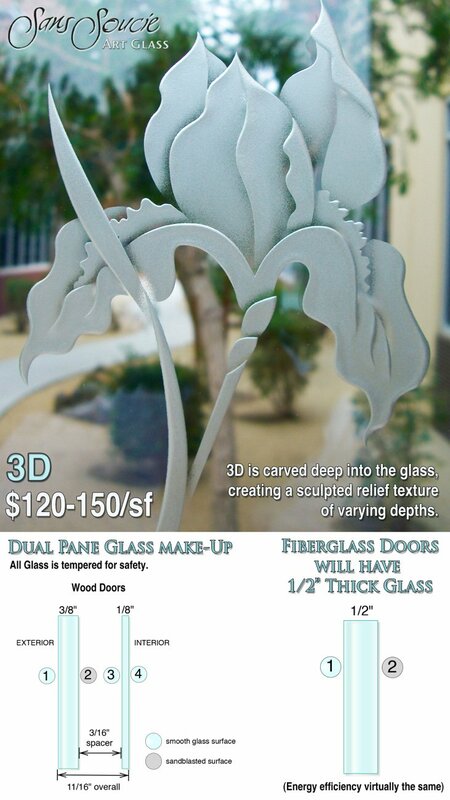 Specify your size, choose from 8 wood types and experiment with different designs in different effects, getting instant pricing as you go along! 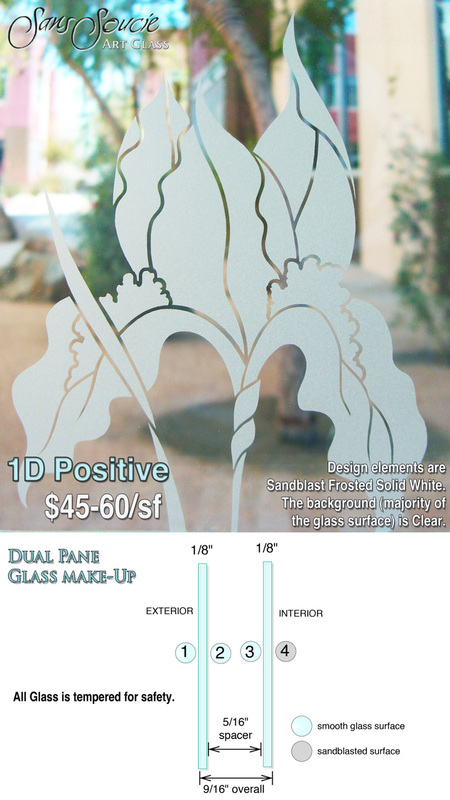 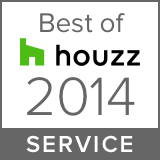 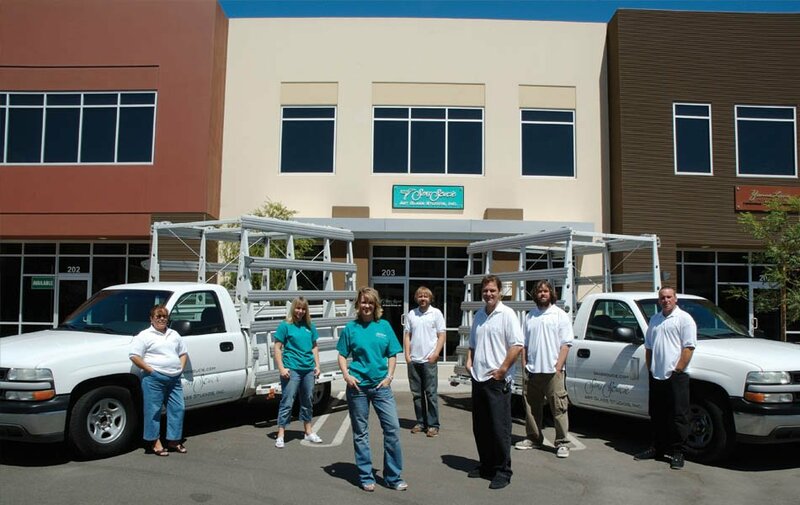 What you see is what you get: your door and glass change LIVE as you make your selections! 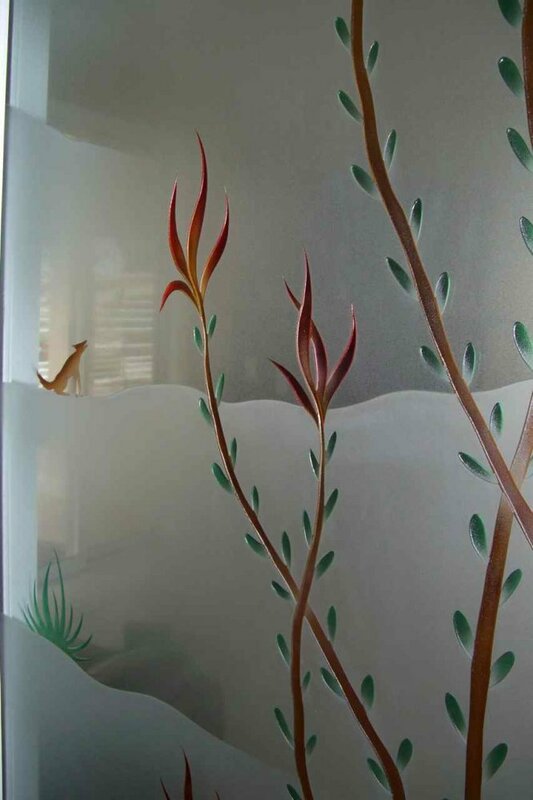 Design to your hearts content until you come up with just the right look with just the right privacy! 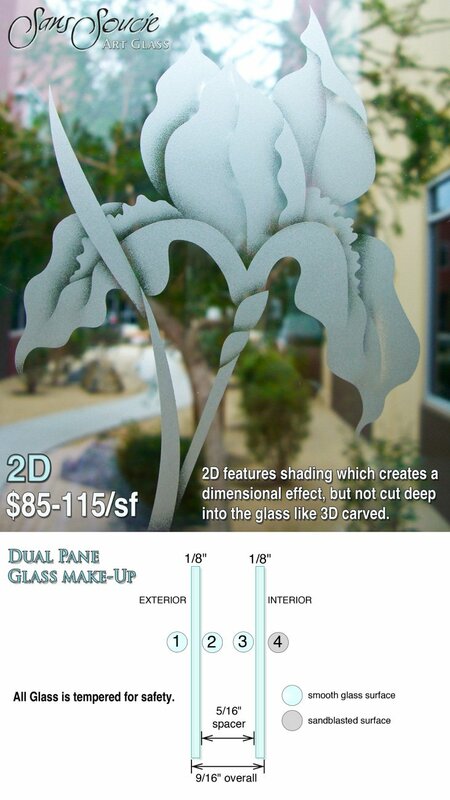 Remember: All designs are available in all effects! 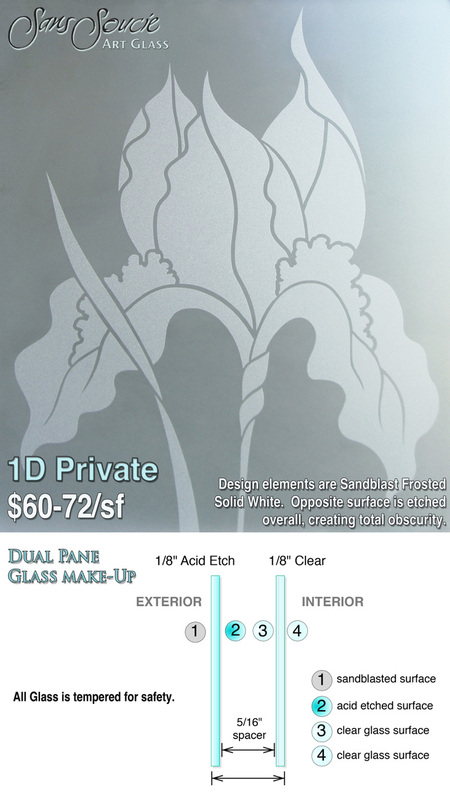 So if you don't see what you're looking for, just contact us and we'll give you custom pricing, and create the design in whatever effect you need!